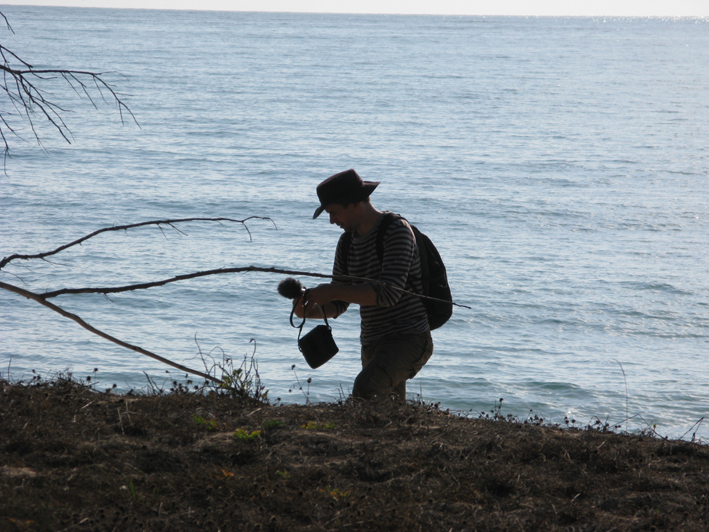 Slavek Kwi is a sound-artist, composer and researcher interested in the phenomena of perception as the fundamental determinant of relations with reality. He has a longstanding fascination with sound-environments, developing what he terms ‘electroacoustic sound-paintings’ that oscillate between sound only works and interdisciplinary works exploring social, spatial and temporal processes. These complex audio-based situations are created mainly from site specific recordings, resulting in subjective reports for radio broadcast, ‘cinema for ears’ for multi-channel playback, sound installations integrated into the environment and performances. From the early nineties Slavek has operated under the name Artificial Memory Trace. He facilitates experimental sound workshops with autistic children and those with learning disabilities. The workshop technique emphasizes extensive listening and the stimulation of creativity through observation and the support of natural tendencies. Slavek was born in former Czechoslovakia, lived 14 years in Belgium and has been based in Ireland since 2000.